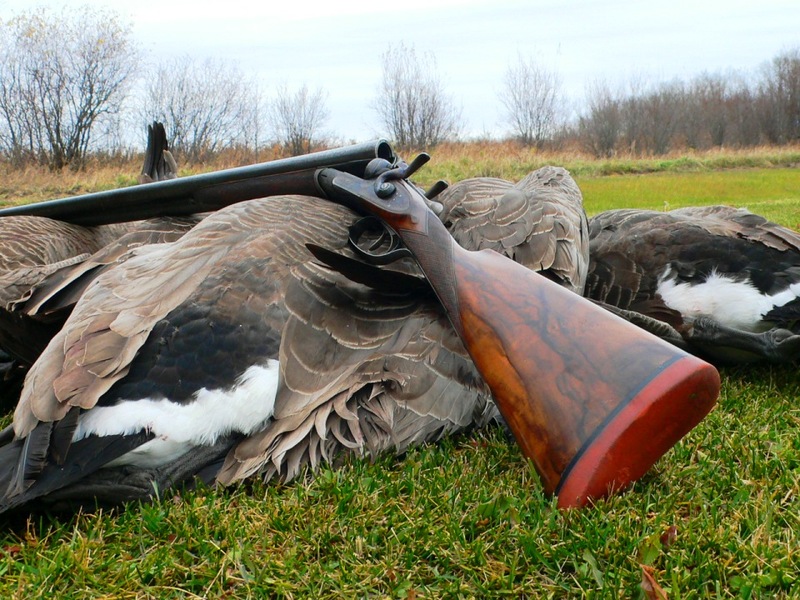 A recent legal opinion that the illegal taking or killing of migratory birds under the Migratory Bird Treaty Act does not include incidental taking or killing could have adverse effects on waterfowl. Shutterstock/Stacey Ann Alberts. This past year marked the 100th anniversary of the Migratory Bird Treaty Act (MBTA), landmark legislation that consolidated the conservation and management of avian species that migrate across state and international borders. The primary intent was to end illegal market hunting; however, the MBTA’s impact became far broader during the century that followed its passage, as anyone who has ever purchased a “duck stamp” (now a Migratory Bird Hunting and Conservation Stamp) knows. No one benefited from the MBTA more than hunters. The original language of the act made it illegal to “pursue, hunt, take, capture, kill . . . by any means whatever . . . at any time or in any manner” migratory birds without a permit. (Don’t worry: Your hunting license and duck stamp constitute a “permit.”) While everyone understood what “hunt” meant, the definition of “take” proved more controversial. The MBTA covers more than a thousand species of birds, of which waterfowl are the most important to hunters. We kill our share—more than 10 million most years—but that number is offset by the efforts hunters plow back into habitat and conservation. Furthermore, a number of other factors contribute heavily to human-caused migratory-bird mortality, including collisions with vehicles, communications towers and other structures; contact with oil pits, spills and other industrial pollutants; and house cats (which rack up an astounding 2 billion birds annually). While the US Fish and Wildlife Service (USF&WS) provides estimates of mortality from many forms of human activity, these figures apply to all migratory birds, making it hard to come up with firm numbers of waterfowl deaths from causes other than hunting. Of those waterfowl deaths, how many meet the definition of an illegal “take” under the terms of the MBTA? Does the term apply only to mortality caused deliberately by human activity? For 50 years the answer to the second question was a qualified, “No.” British Petroleum pleaded guilty to violating the act as a result of the 2010 Deepwater Horizon oil disaster and paid $100 million to the North American Wetlands Conservation Fund as part of its settlement. In 2013 Duke Energy was held responsible for raptor deaths at a Wyoming wind farm (even “clean” energy has its costs), and in addition to a $1 million fine, that settlement included a compliance plan aimed at preventing future incidents at the company’s facilities. These cases illustrate an interpretation of the MBTA dating back decades under administrations representing both political parties. A January 2017 legal opinion from the Department of the Interior (DOI) supported the established view that deliberate intent was not a necessary component of an MBTA violation: “The MBTA’s broad prohibition on the taking and killing of migratory birds by any means and in any manner includes incidental taking and killing.” That February, the Trump administration suspended this directive pending review. In December 2017 DOI deputy solicitor Daniel Jorjani issued a formal opinion that the MBTA applies only to purposeful actions and situations in which birds are killed deliberately. Granted, courts have issued conflicting opinions on the question of whether or not the terms of the MBTA apply to activities that otherwise would be legal, and the concept of reducing intrusive government regulations has broad political appeal. However, litigation over the new administration position was probably inevitable. In May 2018 a consortium of conservation groups led by the Audubon Society filed suit to reverse the Trump administration ruling. In September attorneys-general from eight states representing all parts of the country and both political parties filed a second suit alleging that the proposed changes in the interpretation of the MBTA would harm their citizens. I recently spoke with Brad Bortner of Washington State, a former Chief of Migratory Birds for the USF&WS and a signatory to the Zinke letter. He pointed out that the USF&WS always chose to work with development interests that were making good-faith efforts to mitigate harm to migratory birds rather than immediately take enforcement action. “I think it would be unfortunate to pursue a policy interpretation that does nothing for conservation and just makes fighting clearly illegal activity harder,” he said. All of us who hunt waterfowl (as well as doves, snipe and woodcock) or simply enjoy healthy continental bird populations need the MBTA. Whether it gets enforced effectively, modified reasonably or gutted may well depend on the efforts of hunters and the organizations that represent us. Readers interested in obtaining more information about the MBTA and current efforts to defend it can contact the Audubon Society, National Wildlife Federation, or Backcountry Hunters and Anglers.